In brief: Danny Ching and Shae Foudy have won the 2016 Mickey Munoz Mongoose Cup in Dana Point, California, showing solid early season form ahead of the first big race of the season in Carolina later this month. Danny made it a clean sweep of the event, with the 404 front man taking out both the 14′ and 12’6 time trials as well as the main show, the “Sport of Kings” sprint race. On the women’s side, Shae made it two from two for Team Riviera by claiming both the 12’6 time trial and the sprints. 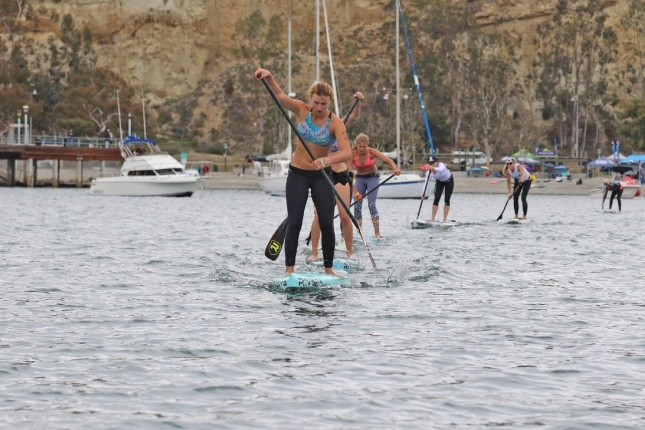 There were plenty of top placings from the juniors and groms; Dana Point is a hive of activity for the future stars of paddling with both the Paddle Academy and Performance Paddling’s junior squad training out of Baby Beach inside Dana Point Harbor (where the Mongoose Cup is held). 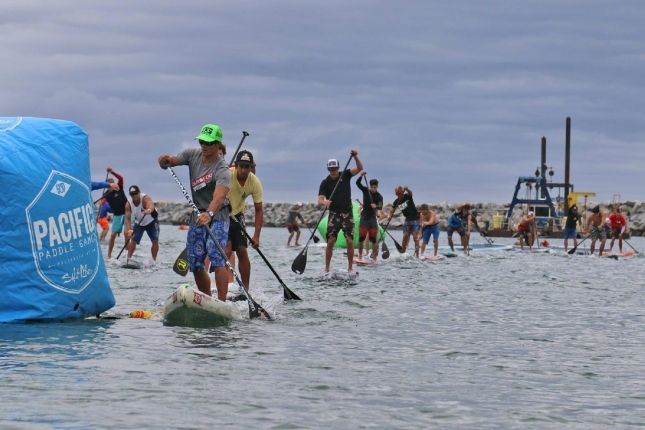 The annual Mongoose Cup is named after surfing legend and local surfing/paddling icon Mickey Munoz, and has become a staple of the SoCal paddling scene. There’s like a million different races at the Mongoose Cup though, so bear with me here but I believe these are the top finishers from all the main races. Check out the full results over on PaddleGuru.